Var. gtd Com Ofc/Rtl/Ind. 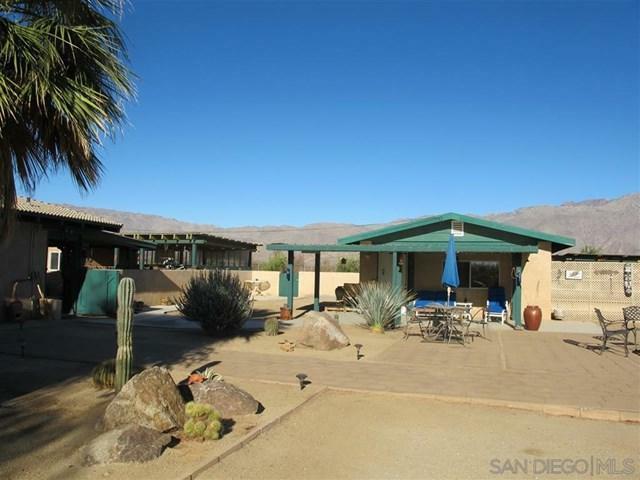 Rare opportunity to own a 4.39 acre commercial/residential property on a prime corner in Borrego Springs w/ 900 ft of main road frontage. Ideal for nursery or other retail sales. This property has been meticulously maintained & upgraded by the owner. 390 sq ft office, 540 sq ft storage building, enclosed courtyard, 10,000 gallon water tank, with well & extensive irrigation systems. 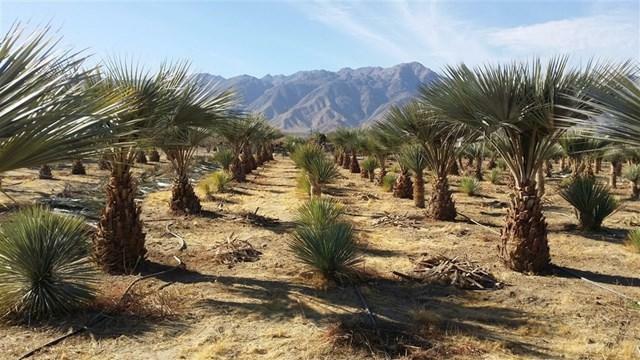 This property is planted with over 700 rare specimen palms, yuccas, ocotillos and is securely fenced with an additional +-+ acre six foot chain link fenced area for livestock. With chicken coop, shade structure, small shed and two 40 ft insulated sea freight storage containers. Beautifully renovated 1 bd 1 bath Casita, with Mexican tile throughout, double pane windows, lg wood burning fireplace with insert. 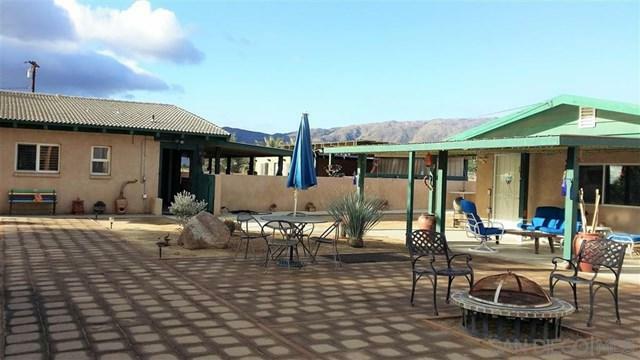 Concrete patios and walkways with privacy and security are yours with this investment property. 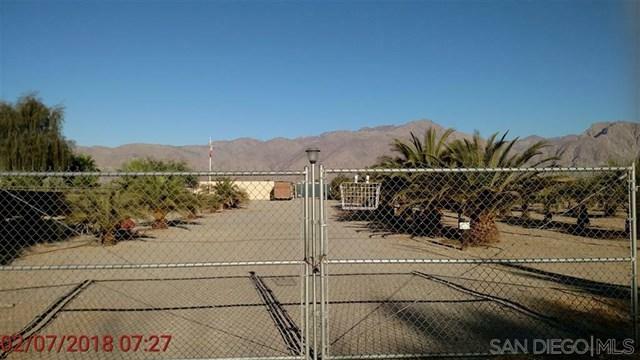 Additional entrance at 1285 Palm Canyon Dr for retail sales and access.